Bouncy border collie Rufus is an energetic chap with a super-sharp mind and tonnes of potential, said staff at Dogs Trust Shoreham. 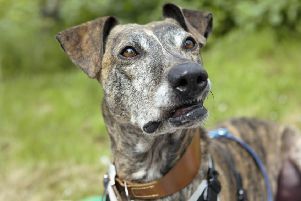 Rufus would like to be the only pet in an adult-only home in a quiet location with access to rural walks. A relaxing, yet active lifestyle where Rufus can fully embrace the typical collie traits would be ideal. The perfect match would be an experienced dog owner who could offer their love, guidance and support with on-going training.